First of all we pride ourselves on our quiet mufflers. 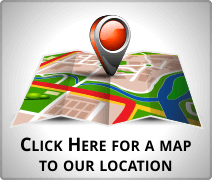 Being the very best at service, materials, and workmanship. By also providing a large variety of mufflers to adhere to any budget. Further more we offer quiet mufflers that are guaranteed up to the life of your vehicle. FMS Performance offers a quiet universal muffler by Walker as well as Magnaflow, Georlich and others. 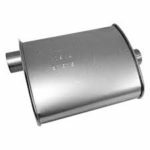 As a result we should have the quiet muffler along with other quiet performance mufflers in stock for almost all vehicles. Our muffler shop offers a quiet universal muffler for cars and also quiet mufflers for trucks. Likewise we offer a small quiet muffler and an ultra quiet muffler. Finally check out our Glass Pack mufflers. Above all heavy gauge shell along with expandable ends are featured for durability and ease of use on custom applications. These are also used as resonator mufflers. Resonator mufflers consequently make the car quieter. Quiet high flow mufflers are available at FMS Performance by many different performance manufacturers. Magnaflow, Flowmaster, Borla to name a few.